Education is a vital aspect of life that everyone needs. With the Internet, access to educational materials is a lot easier thanks to educational WordPress themes. Instead of starting a website from scratch, you can make use of various templates for websites. There are many of these available on the web that can cater to your needs. 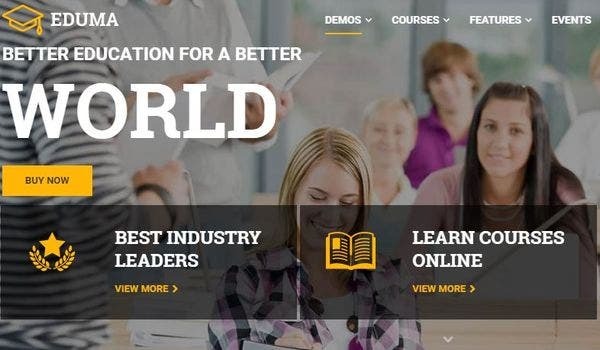 Education WP is a WordPress theme that has been designed for online course websites. It has a bright design and many technical features that add to the responsiveness of the website. 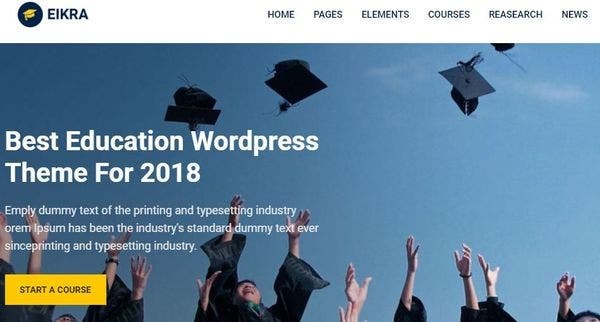 Education WP’s features include BuddyPress, drag-and-drop page builder, one-click demo installation, and WooCommerce support. 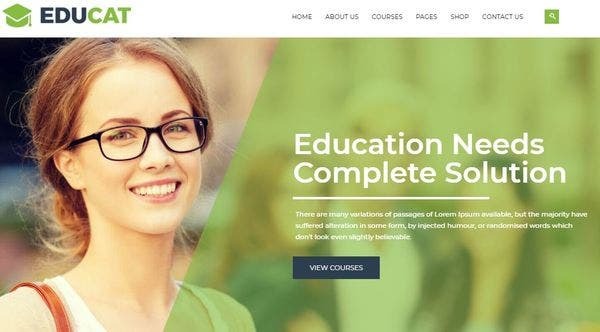 Educat is a WordPress theme that is suitable for online classes, school, and college websites. It has beautiful visuals along with a variety of technical features that make it an extremely responsive and easy-to-use website. Some of it’s features include drag-and-drop page builder, WooCommerce compatibility, shortcodes, and Google Fonts. 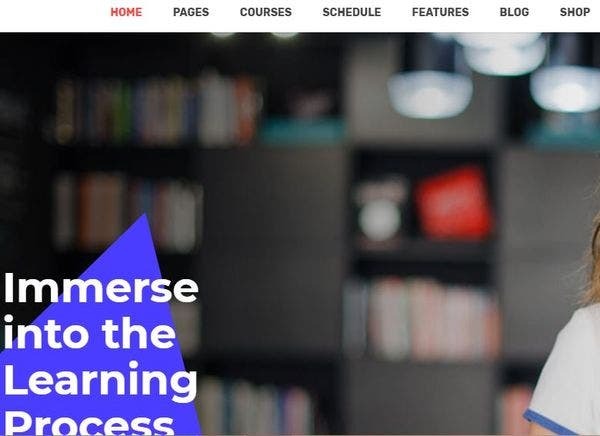 Edugrade is a stylish WordPress theme that is designed for college, school, and online course websites. It’s design is colorful yet smart and it’s features make the theme very easy to use for visitors. It’s features include Unyson framework, Contact 7 Form plugin, MailChimp Subscription, and Google Fonts support. 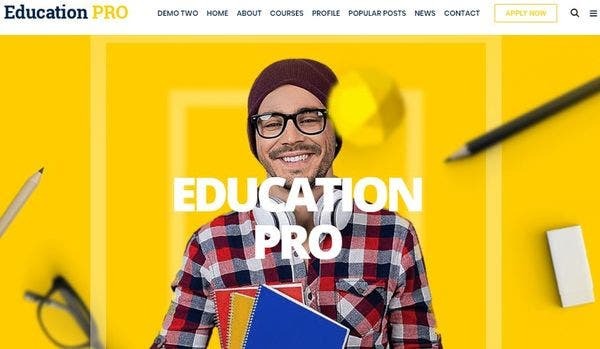 Education Pro is a minimalist WordPress theme that is designed for any and all educational purposes. It’s design is creative yet formal and has amazing technical features that make it easy to use for visitors. Education Pro’s features include parallax effect, sticky header, custom widgets, and Google Fonts integration. 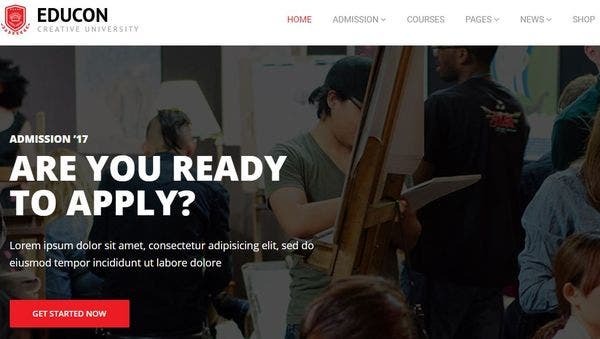 Edumodo is a WordPress theme that has been designed for online educational websites. The theme’s design is creative and the features provided ensure smooth navigation and interaction through the website. Some of it’s features include LearnDash LMS support, Revolution Slider, Instagram Feed, and WooCommerce plugin. 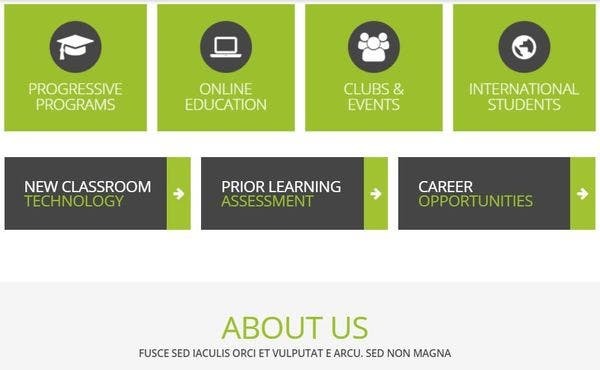 Educor is a WordPress theme that has been designed for online educational websites. It has a bright and colorful design along with many technical features that add to it’s beauty. Some of it’s features include Elementor Page Builder, JetElements, Contact Form 7, and SEO optimization. 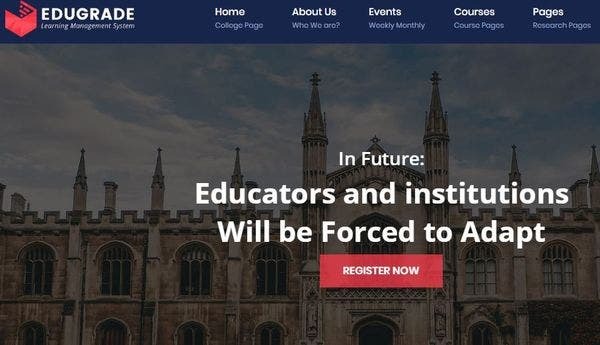 Educon is a WordPress theme that has been built for any kind of institutional or online course websites. It’s design is sleek and modern and it is highly responsive and very interactive. It’s features include unlimited colors, multilingual capabilities, advanced customizer, and a visual composer. 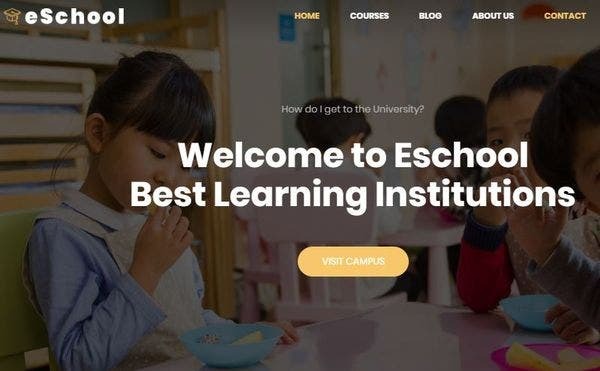 Eschool is a ultra minimalist WordPress theme that was designed school, university, and other educational websites. It’s design is modern and creative and it has a host of technical features that make it easy to navigate. It’s features include Visual Composer, Revolution Slider, LearnPress plugin, and WPML support. 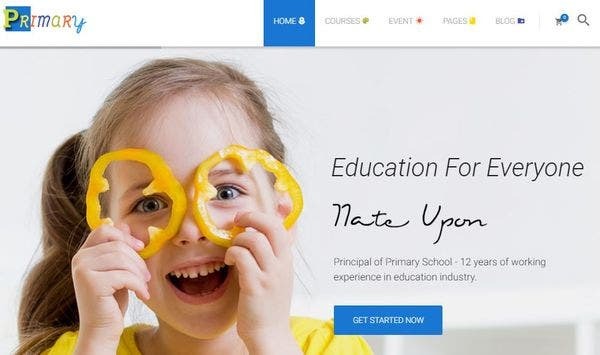 Eikra Education is a WordPress theme that has been crafted with LMS for all kinds of educational websites. The design of the theme is smart and modern and the features it has make it very easy to use. 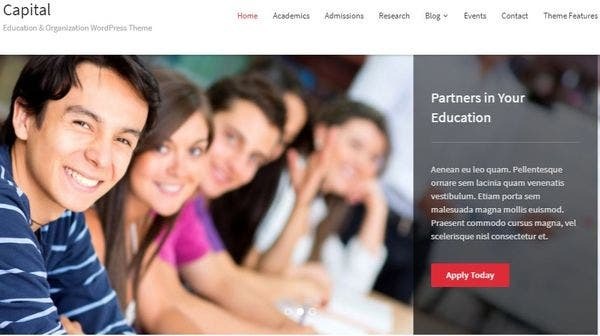 Ekira Education’s features include 14 home page layouts, Redux framework, mobile responsive, and WooCommerce support. 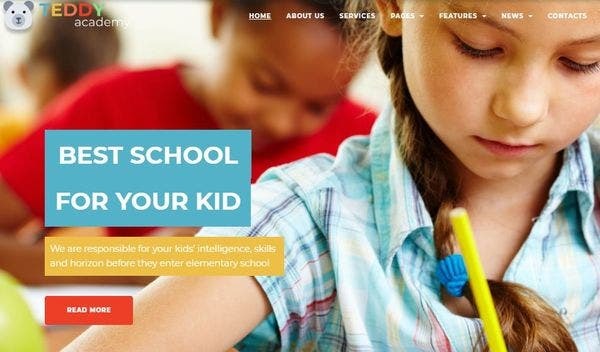 Cleveries is a WordPress theme that has been designed for preschool and elementary school websites. It’s design utilizes a lot of graphics to create a fun website for both parents and children to access. Some of it’s features include JetElements, one-click installation, WPML support, and valid HTML and CSS3 code. 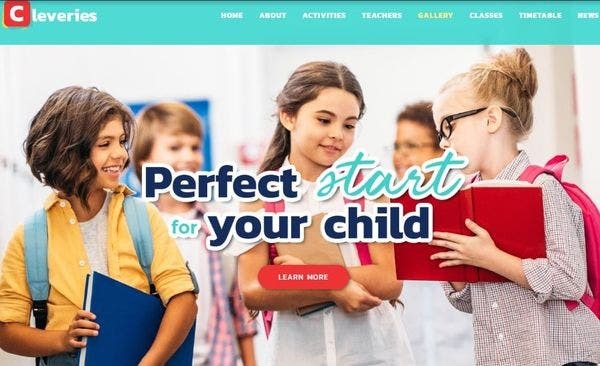 Primary is a WordPress theme that is tailor-made for preschool, kindergarten, and elementary school websites. It’s design is colorful and creative and it’s technical features make it an extremely responsive website. Some of it’s features include Course Management, WooCommerce support, CSS animations, parallax effect, and built-in widgets. High School is a WordPress theme that has been designed for high school websites. It has a design that is clean and modern along with a variety of technical features that improve navigation and functionality. High School’s features include SEO optimization, Google Fonts integration, bonus images, and amazing plugins. School is a WordPress theme that has been designed for school and other educational websites. The design of this theme is smart and clean and it’s technical features make the website easy for visitors to use. School’s features include user-friendly theme options, mobile optimization, fully responsive design, and WCAG recommendations. Teddy Academy is a WordPress theme designed for preschool and elementary school websites. It’s design is creative and fun and has a number of features that make it easy to use. Some of it’s features include Elementor Page Builder, social media icons, SoundCloud integration, and SEO optimization. 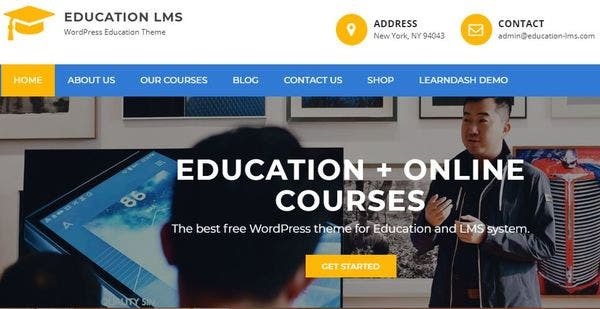 Education LMS is a WordPress theme that is designed for mainly for online course websites. It has a simple and clean design along with an extremely user-friendly interface and many technical features. It’s features include custom header media, featured slider, LearnPress plugins, and Elementor Page Builder. 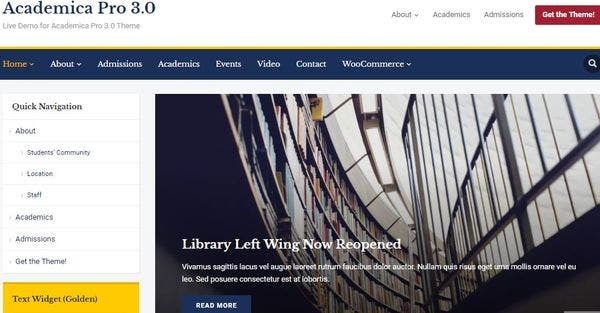 Academica Pro 3.0 is a education WordPress theme that has been designed for educational websites. It has a clean design with a beautiful color combination that adds beauty to the website. It’s features include social icons widget, featured slider, WooCommerce support, and Breadcrumbs from Yoast SEO plugin. 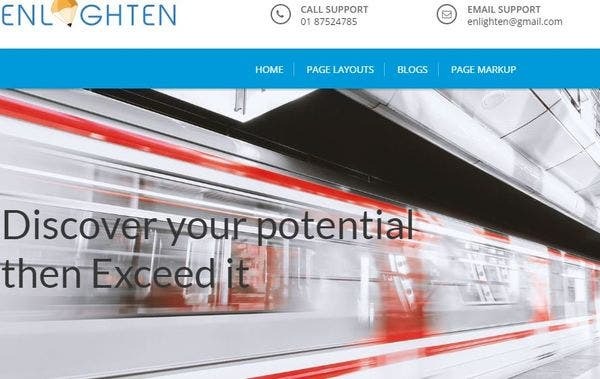 Enlighten Pro is a online course WordPress theme that was crafted for educational and academic websites. It has a beautiful and neat design along with many amazing technical features that make it easy for visitors to use. It’s features include 3 home page layouts, live customizer, one-click demo import, and breadcrumb settings. Presence is a online education WordPress theme that is perfect for educational websites. While there are many variations of this theme for other types of websites, Presence has a template for educational websites as well. It’s features include page builder, SEO optimization, Jetpack portfolio, live customizer, and a variety of color schemes. Grow Up is a new WordPress theme that was designed for school websites. It’s design is very minimalistic and has a lot of technical features that add to it’s beauty and high-functionality. Grow Up’s features include custom widgets, drag-and-drop page builder, social share functionality, and SEO optimization. 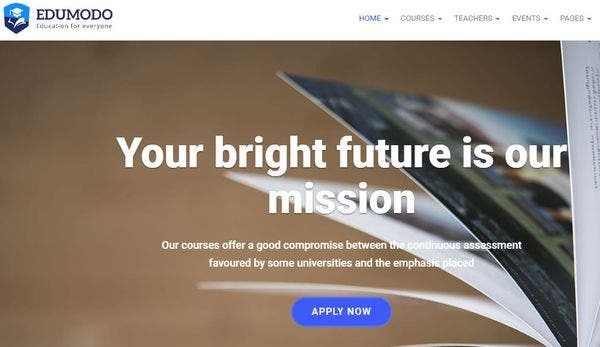 Capital is a classy WordPress theme for educational institutes, like schools and university websites. It has a neat and formal design along with many technical features that make for a great user experience. 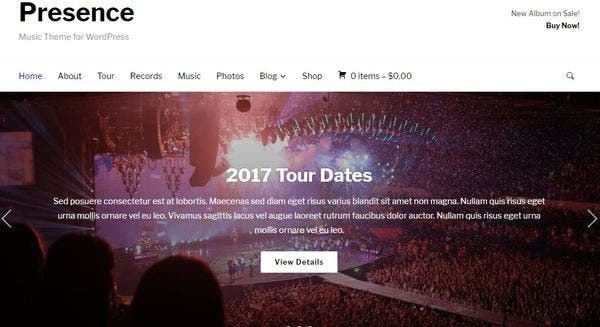 Some of it’s features include dynamic home page builder, live customizer, WooCommerce support, and WPML compatibility. 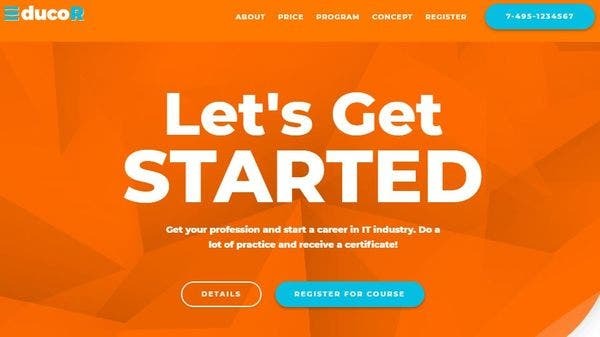 Learnpro is a modern WordPress theme that has been designed for all types of educational websites. It has a clean and smart design along with a highly responsive user interface. It’s features include WPBakery Page Builder, Slider Revolution add-on, extensive typography options, and RTL language support. 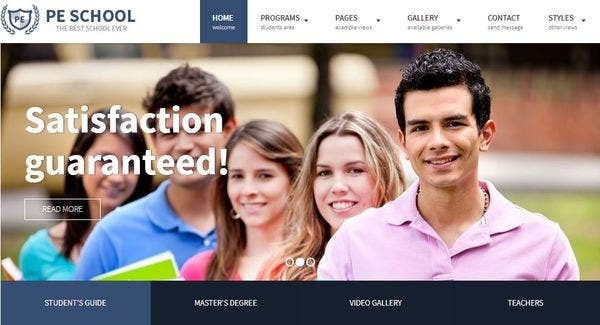 Erudito is a educational WordPress theme that has been designed for school and college websites. It has a formal design with a variety of technical features that improve the quality of the user interface. 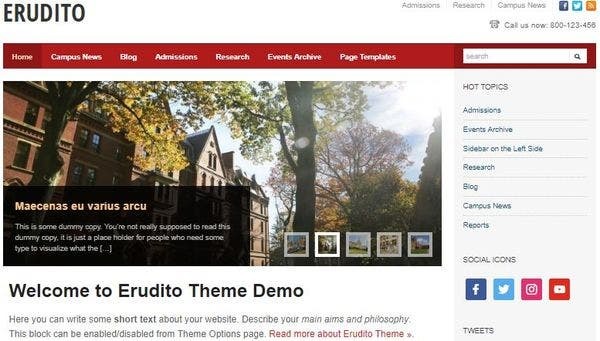 Erudito’s features include 12 built-in color styles, home page builder, featured posts slider, and theme options panel. 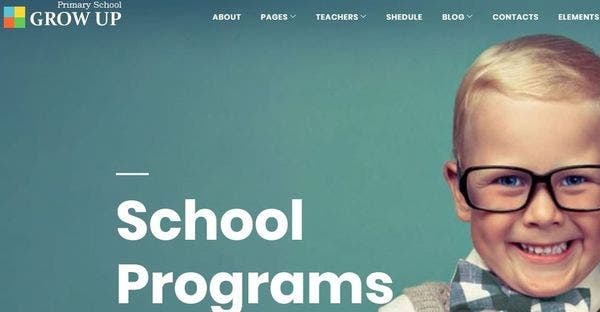 These are some of the best education WordPress themes and templates out there. Be sure to check these out and see if they are perfect for your website today!